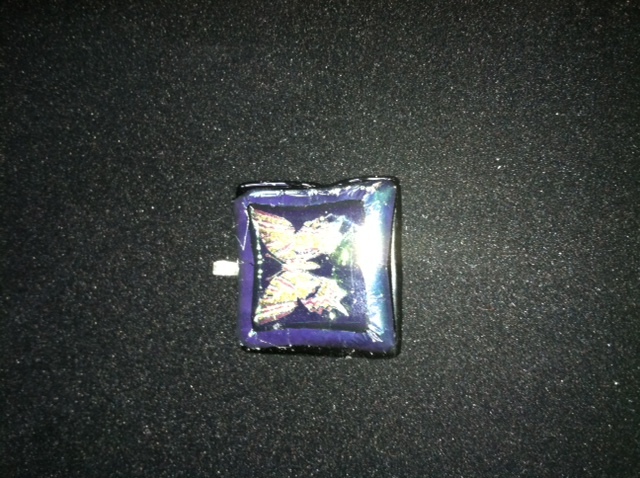 Beautiful Fused Glass Butterfly Pendant. The Butterfly is in Dichro glass so it really stands out, on black. Have several in different butterfly colors. The piece looks much better than the picture shows. Pendants sell for $18.95. For more information please contact me at (713) 899-0933.